A fresh and unique approach to office accessories, these 3 sided desk tent calendars are a great way to utilize an essential office tool as a decorative as well. These bright and vibrant tent calendars can liven up any part of the office you keep them in;they are a very handy option to use when planning your meetingsas they are always close to you, on your desk. 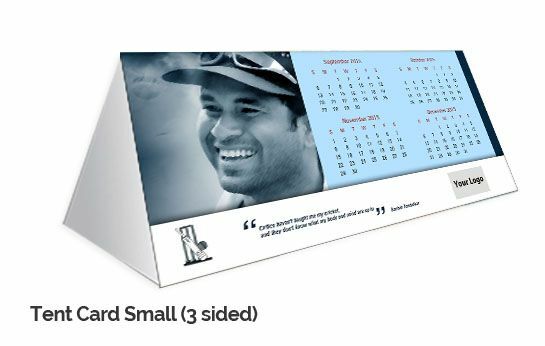 They are really easy to use, as you just need to flip them to the desired side to get to the relevant date with 4 months printed on each of its three sides. They are easily portable as they can be completely collapsed and taken anywhere without taking up needless space. Our table tent calendars are printed with the finest quality of crisp card stock, which will look as good as new, even a year on. 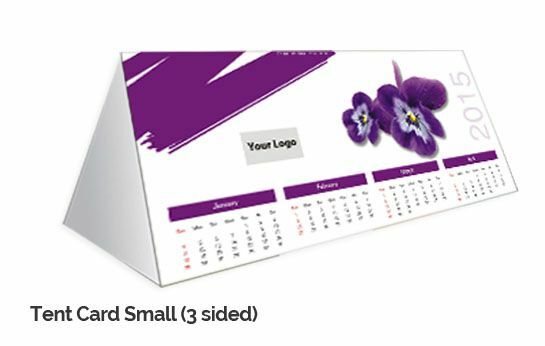 The 3 sided table tent calendars make handy corporate gifts, which will give you maximum brand exposure, with their custom design and printed text and logos. 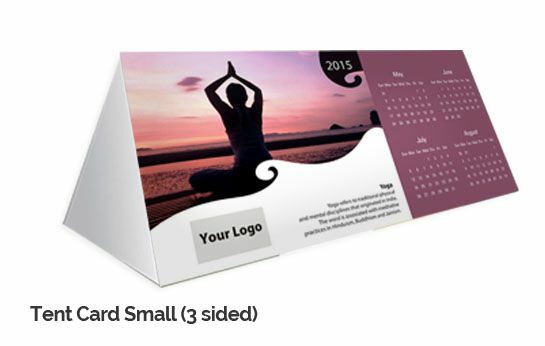 You can either create your 3 sided tent calendars or you can select from some of our vibrantly designed templates, ranging from themes such as Indian-ness, currency and countries, personalities, environment, management, inventions and colors.